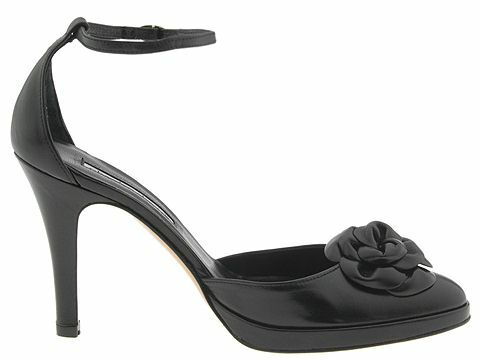 Right now you can get Steve Madden pumps, sandals, boots and more for up to 69% off MSRP! You can scoop up chunky sandal heels for only $27 that normally go for $79.95. Here are just a few of my favorites and the sale ends on Sunday by the way. I would hurry as last check certain sizes are already gone for a lot of the shoes in the $25-$40 price range! 4/9-4/11: Steve Madden Women’s Footwear All Styles Up to 69% off! Pump up your wardrobe with these bootiful PUMPTUP boots from Steve Madden. Love the fact that they are platforms, not to mention the focal point of the boot – metal chains, studs, & buckle make this one a hot rocker boot! Pair them with a blousy top and jeans tucked in. Also available in brown. 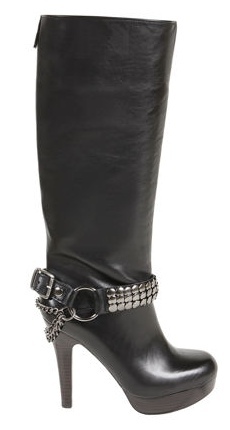 Oh, did I mention the boots are now on sale for $139.97 $249.95? Rock on!!! Happy New Year’s Sales from 6pm! 1/1-1/3: Steve Madden- All Styles 60% Off This weekend! One week sale,1/3-1/10! Miss Sixty- All Styles 60% Off This Week! 1/2-1/3 offer! Betsey Johnson- All Styles 60% off This weekend link! 1/2-1/3 offer: Two Lips- All Styles 70% This weekend! 1/2-1/3 offer! Clarks- 70% Off All Styles This weekend! 1/4-1/8 offer! Not Rated Footwear- All Styles 60% Off This Week! 1/4-1/8 offer! RSVP Footwear and Apparel- All Styles 17.95 This Week! One Week Sale, 1/3-1/10! Gretta Footwear- 12.95 All Styles This Week! 1/1-1/3: Irregular Choice Footwear- All Styles 60% off This weekend! 1/1-1/3: Kenneth Cole Reaction- 60% Off All Styles This weekend! 1/1-1/3: Vans Footwear and Apparel- 60% off All Styles This weekend! One Week Sale, 1/3-1/10! Type Z- All Styles 7.95 This Week! 1/4-1/8 offer! Tretorn Shoes and Eyewear- All Styles 70% off This Week! 1/4-1/8 offer! Simple Footwear- All Styles 19.95 This Week! 1/1-1/3: Rockport- All Styles 24.95 or less This weekend! Right now at Piperlime you can scoop up some hot new styles on shoes and handbags for around 50% off regular prices. There are some really hot pairs from brands like Nine West, Dolce Vita, Naturalizer, Steve Madden, Mystique and many more. And best of all they offer FREE shipping and free returns so you can shop worry free! New styles on sale! 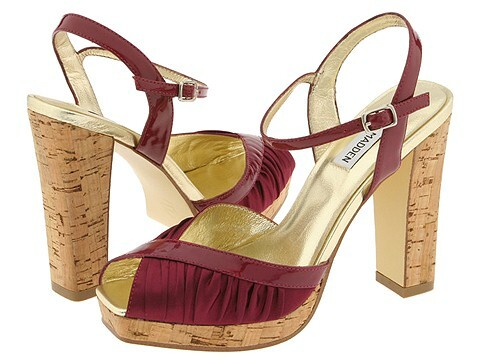 Enjoy up to 50% off shoes and handbags at Piperlime’s Lime Tag Sale. Free shipping and free returns too. Here’s a Snapshot sample of what you can expect to see. 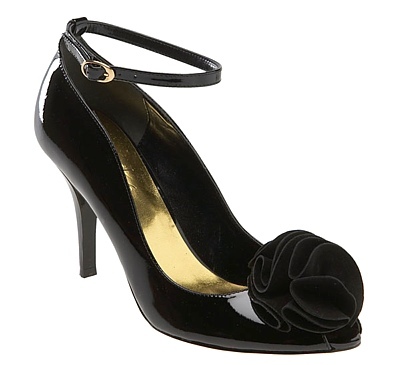 Black & beautiful… with charming floral accents on all black pumps… who doesn’t need a touch of little flower? 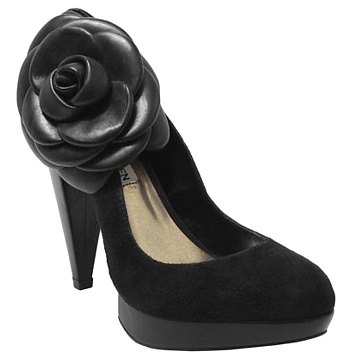 I’m not big into floral shoes but the black makes it a bit subdued & sophisticated. Each of these luscious pairs are such an elegant treat to your feet. Indulge yourself!